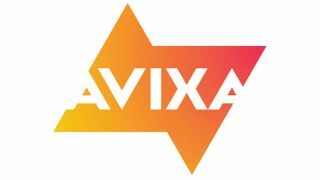 AVIXA, the Audiovisual and Integrated Experience Association, announced its election results for the 2018 AVIXA board of directors and leadership search committee (LSC). Jeff Day, CEO of Bluewater Technologies, has been elected secretary-treasurer of the board by AVIXA membership. AVIXA members also elected to the Board Samantha (Sam) Phenix, vice president of research and development, Planar Systems, and Wallace Johnson, CTS, vice president of business development, Mertzcrew. In addition, the Leadership Search Committee (LSC) appointed Shaolei Liu, managing director of Beijing Oriental Prime Connections Film and TV Technology Co., and Martin Saul, CEO of ICAP S.A., to the board of directors. Melody Craigmyle, vice president of parketing, Almo Professional A/V, was elected by members to serve on AVIXA's leadership search committee. Current AVIXA board president Gary Hall, CTS-D, CTS-I, made two additional appointments to the LSC: Virginia Daugherity, North American partner director, Sonic Foundry, and Michelle Grabel-Komar, vice president of sales, Full Compass Systems. "As we embark on a new and exciting future as AVIXA, our volunteer leadership continues to play a critical, guiding role in advancing our association and the industry as a whole," said David Labuskes, CTS, CAE, RCDD, CEO of AVIXA. "The dedicated men and women who serve on our board of directors give their time, effort, and considerable insight toward fulfilling our goals of creating an industry hub and helping foster market growth worldwide. The task of identifying future governance volunteers falls to the leadership search committee. The quality of talent and caliber of our board members is a testament to the LSC's hard work and commitment. I and my team are pleased to be led by such dedicated professionals. We look forward to working with the new board and LSC as we continue on this journey." AVIXA thanks outgoing chair of the leadership search committee and former president of the AVIXA board Craig Janssen, LEED AP, Idibri, and outgoing Board members Zane Au, CTS-D, LEED AP, Shen Milsom & Wilke; Ratnesh Javeri, CTS-D, Innovative Systems and Solutions Pvt. Ltd.; and Kevin Kelly, Stampede, for their years of service to the AVIXA board of directors.